has caused a stir for its use of terminally ill patients to paint a picture on what’s important in life. The ad could now be banned from being show following complaints to the advertising watchdog. 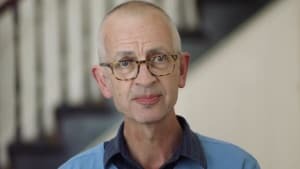 The Advertising Standards Bureau (ASB) has garnered nearly 20 complaints about it being in “bad taste”, AdNews can reveal. The TV spot, described by some as “insensitive”, “exploitative” and “shameless”, challenges Aussies to reconsider putting all their money into a home they can’t afford, redefining the ‘Australian Dream’. These complaints are now being dealt with through the complaint process, which considers if an ad has breached the ASB code. After the ad and the complaints are assessed, a determination will be made to either uphold or dismiss the case. 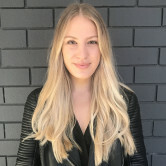 Speaking to AdNews, CMO at UBank Jo Kelly, says: "We have received a small number of complaints to the Advertising Standards Bureau in regards to our recent TVC. We will certainly work with the ASB to carry out any necessary reviews if requested. "We feel confident that we’ve followed all of the guidelines. We also reviewed our work with Free TV Australia and have followed the CAD approval we received as part of the campaign." Despite some backlash, others have commented that the ad is a good move, with sentiment being positive in the above AdNews poll. UBank also has analysed the sentiment on the conversation and says to date, more than 70% of sentiment is positive or neutral. Previously both UBank chief marketing officer Jo Kelly and Mark Green from The Monkeys, the creative agency behind the ad, defended the concept. The Monkeys are no stranger to controversy, with two of the most recent ads for Meat and Livestock Australia facing a ban from the ASB but ultimately being cleared. The latest UBank campaign has caused a stir for its use of terminally ill patients to paint a picture on what’s important in life. The ad could now be banned from being show following complaints to the advertising watchdog.